Israeli troops killed at least 55 Palestinians along the Gaza border on Monday, health ministry officials said, as demonstrators streamed to the frontier as the United States opens its embassy in Jerusalem. Amid deadly clashes, President Donald Trump’s top aides and supporters are celebrating the opening of the new US embassy in Jerusalem as a campaign promised fulfilled. Trump’s daughter Ivanka and son-in-law Jared Kushner, along with US Treasury Secretary Steve Mnuchin were leading the ceremonies. Turkish Foreign Ministry called US actions null and void in an official statement. “We strongly condemn the decision of the US Administration to move its embassy from Tel Aviv to Jerusalem violating international law and all relevant UN Resolutions,” Ankara said. Protests intensified on the 70th anniversary of Israel’s founding, with loudspeakers on Gaza mosques urging Palestinians to join a “Great March of Return”. Black smoke from tyres burned by demonstrators rose into the air at the border. Israeli troops killed 55 Palestinians on Monday, including a 12-year-old boy and a man in a wheelchair, and over 2,000 protesters were injured. The man in the wheelchair had been pictured on social media using a slingshot. 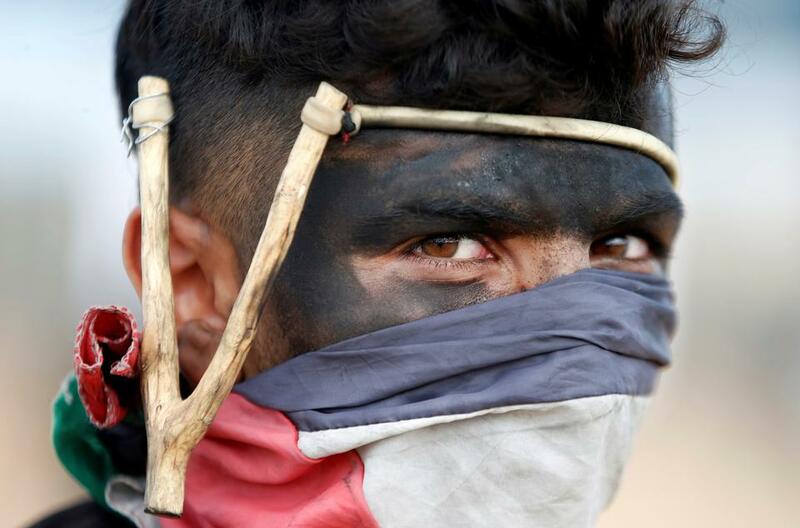 TRT World’s Courtney Kealy reports from the Israel-Gaza border. The killings have drawn international criticism, but the United States, which has angered the Palestinians and Arab powers by relocating its embassy to Jerusalem from Tel Aviv, has echoed Israel in accusing Gaza’s ruling Hamas movement of instigating violence, an allegation it denies. “What a moving day for the people of Israel and the State of Israel,” Israeli Prime Minister Benjamin Netanyahu said. But Palestinian Prime Minister Rami Hamdallah said Trump’s recognition of Jerusalem as Israel’s capital in December and the relocation of the embassy were “blatant violations of international law”. TRT World’s Soraya Lennie reports from occupied East Jerusalem. Those talks have been frozen since 2014. Other international powers worry that the US move could also inflame Palestinian unrest in the occupied West Bank, which Israel captured along with East Jerusalem in the 1967 Middle East war. 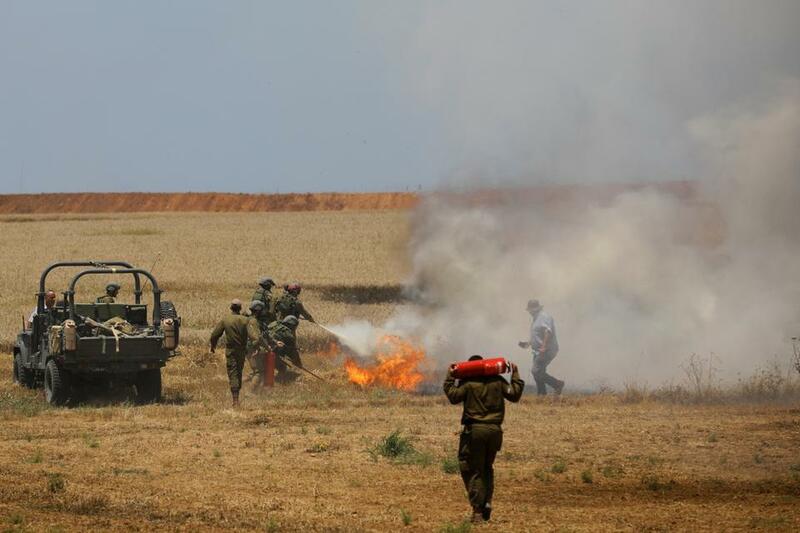 Israel’s military dropped leaflets into the enclave early on Monday, warning Palestinians “not to serve as a tool of Hamas” or approach or damage Israel’s frontier fence. But thousands of Palestinians massed at five locations along the line. Of the 35 people wounded by Israeli gunfire, four were journalists, the officials said. The Israeli military says its troops are defending the border and firing in accordance with the rules of engagement. “We are prepared to face the Hamas threats to disrupt the (embassy) festivities,” Israeli Defence Minister Avigdor Lieberman tweeted. “Choosing a tragic day in Palestinian history (to open the Jerusalem embassy) shows great insensibility and disrespect for the core principles of the peace process,” Hamdallah wrote. But Guatemala, which received support from Israel in its counter-insurgency campaigns in the 1980s, plans to open an embassy in Jerusalem on Wednesday. Its ambassador visited the new site, in an office building in the western part of the city, on Monday. Paraguay is to follow suit later this month. In London, the British government said it had no plans to move its Israel embassy from Tel Aviv to Jerusalem, and said it disagreed with the US decision to do so. The Russian government said it feared the embassy move would increase tensions across the Middle East.